A University Police vehicle. UP responded to a report of sexual assault on Northwestern’s Evanston campus early Saturday morning. 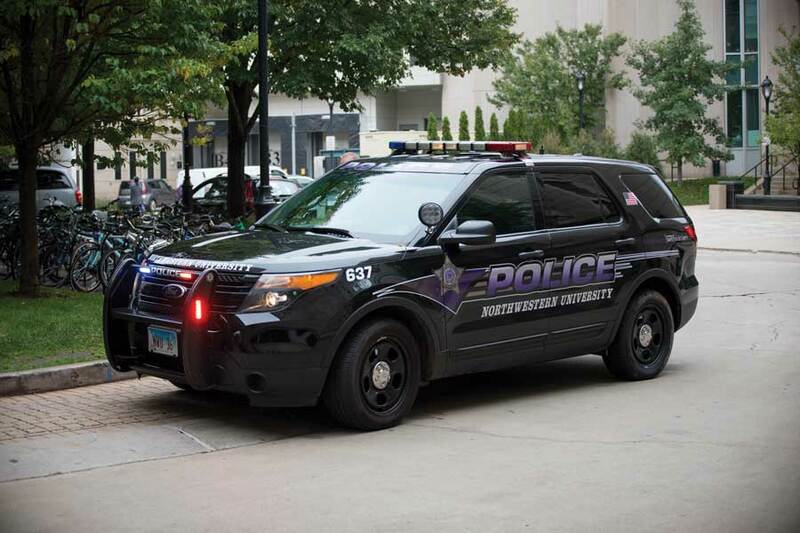 Northwestern police responded to a report of a sexual assault around 2 a.m. Saturday in the 2000 block of Sheridan Road on Northwestern’s Evanston campus, according to a Tuesday crime alert email from University Police. The suspect was immediately identified and is in police custody, according to the email signed by UP Chief Bruce Lewis. Criminal sexual assault charges against the suspect were authorized by the Cook County State’s Attorney’s office Tuesday. “We realize the report of a sexual assault on our campus is difficult for many people in our community,” Lewis wrote in the email. University Police and the Office of Equity are “providing support to those impacted,” Lewis added. A University spokesman declined to provide details.